Gdańsk is part of Poland’s famous seaside Tri-City conurbation, which also contains Sopot and Gdynia. Gdańsk itself is a stunning city and a popular tourist resort with enough activities and unusual sights to keep you occupied for days. For those who fancy venturing a little further afield for a day, this list should satisfy a slightly more off-the-beaten track experience. Boasting a UNESCO World Heritage Site and claiming to have the largest brick castle in the world by area, Malbork is a real treat. 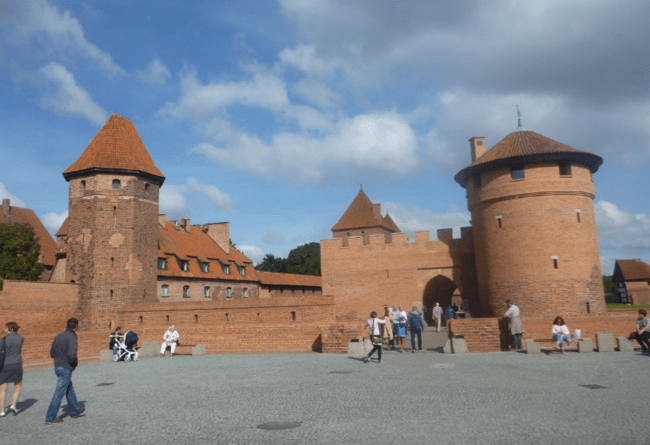 Malbork Castle dates back to Teutonic times and is a huge, well-maintained work of art. What’s more is there is a direct train from Gdańsk Głowny (main train station) as well as regular buses and organised tours. It’s an easy option for a day trip. Touring the castle itself takes a few hours, and while in the town of Malbork, you can also enjoy the bars and cafés of this medieval town. Secure a visa for the Russian enclave of Kaliningrad, and get ready for an exciting day trip. You can leave Gdańsk early in the morning, cross the border before 11 a.m. and have a full day to explore this Russian-speaking region that borders Poland. Soon you’ll be spending Russian roubles and speaking to Russians. There are no shortage of sights here either. Visit the tomb of philosopher Immanuel Kant, tour a 2018 World Cup stadium and admire the famous “upside-down house”. Enjoy a good Russian meal and vodka in central Kaliningrad before getting a late bus back to Gdańsk. If you have more time on your hands, stay a night or two. It’s not commonly known that in the Pomerania province of Poland, there is another language and culture present. Welcome to Kashubia! Kashubia is not independent from Poland, of course, but the people in this region are different. While Kashubians often class Gdańsk (in Kashubian Gdunsk) as their capital city, head inland to the town of Kartuzy. In Kartuzy, you can dress like Kashubians, try the local food and learn some words of the Kashubian language. The region has a yellow and black flag. Make no mistake about it – Łeba is a stunning seaside town that will blow your mind. 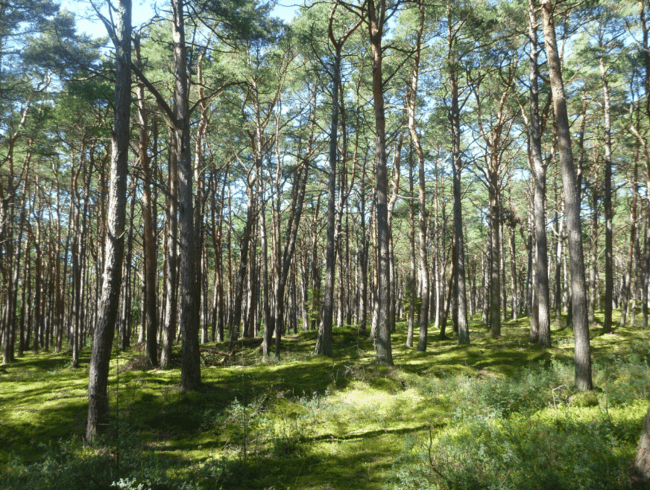 It is a coastal town with miles of pretty beaches leading through to the protected Słowiński National Park. This national park contains natural forests and lakes, but the highlight is the moving sand dunes. Locals refer to it as Poland’s desert. Watch the sunset from these dunes on the Baltic Coast before cycling back through to the town of Łeba for dinner before your train back to Gdańsk. A day trip to “Hel” might not sound appealing, but when you realise this Polish peninsula has one less letter “l” than hell itself, you’ll soon be intrigued. 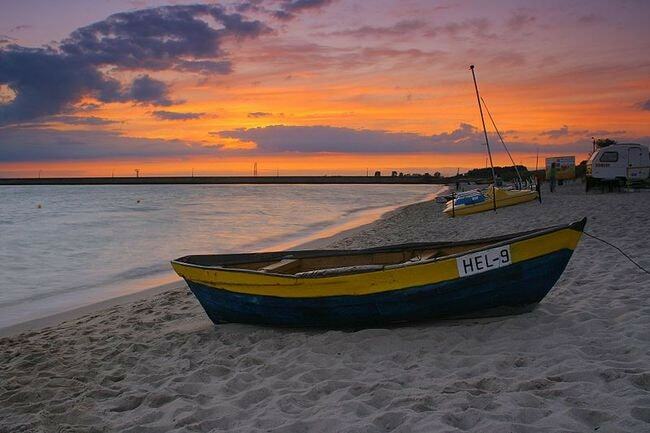 From Gdańsk, you can do a day trip by boat, or bus to Hel. It is a gorgeous peninsula with many rare species of birds, miles of tranquil beaches and some great seafood. The most obvious and easy day trip from Gdańsk is to neighbouring Sopot. Sopot is a lively seaside town, and the smallest of the three cities in the Tri-City conurbation. Sopot is famous for its beautiful beaches, swanky restaurants and vibrant nightlife. Stroll down Ulica Bohaterów Monte Cassino, Sopot’s main drag, and end up on the beach. Sip cocktails watching the sunset, dine out in some of Poland’s most exclusive restaurants and party until dawn in the town’s notorious clubs. 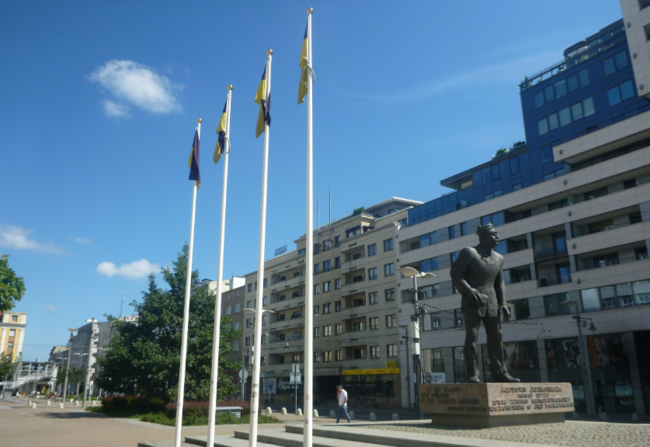 The furthest north of the three cities in Poland’s Tri-city is Gdynia. This city offers a different understanding of Polish life, as it doesn’t really have an Old Town. Gdynia was a mere village back in the 1920s, yet has developed into a large city and is fast becoming one of Poland’s trendiest places to live. 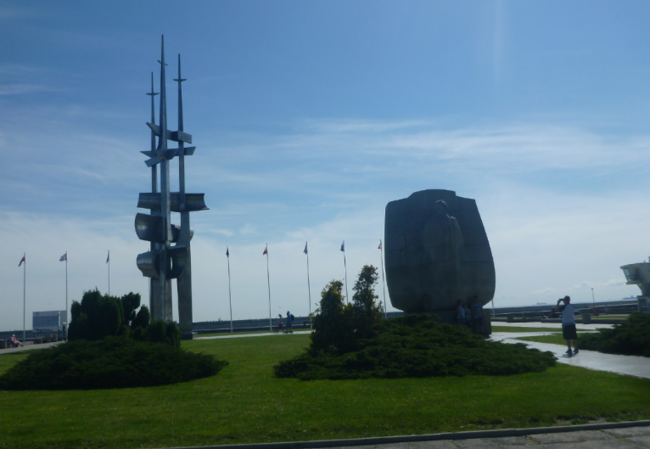 With its Maritime Museum, Cable Car to Kamienna Gora (Rock Mountain) and gorgeous beaches, this is a welcome day trip. The real bonus is it is only a 30-minute train journey from Gdańsk. The town of Starogard Gdański has some rewarding and unusual sights and is a short bus or train ride (45 minutes to 1 hour) from Gdańsk. 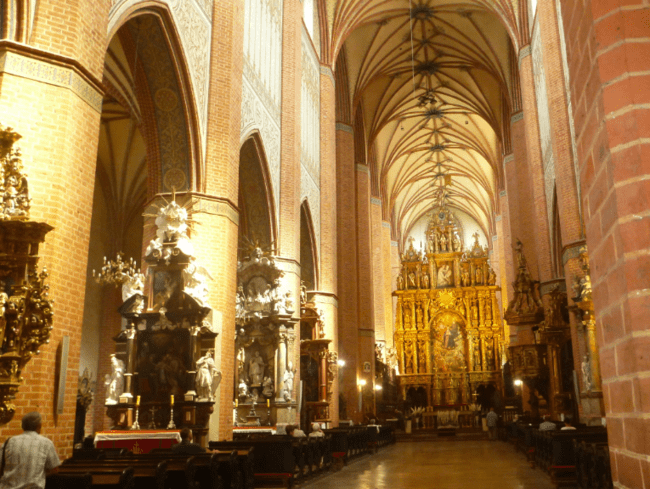 With a much less touristic appeal than Gdańsk, you might have the main sights all to yourself here in a charming town. Visit the famous Sobieski Vodka distillery, go on the trail of Polish footballer Kazimierz Deyna and admire the town’s peaceful and pretty Old Town square. Later, visit the regional Kociewie Museum and dine in Browar Kociewski, the finest brewery in the region. Tczew is only a 20-minute train ride south of Gdańsk and is infamous as being the location where World War II began. Officially, around 4 a.m. on the morning of September 1, 1939, Polish soldiers thwarted a German attack here on the strategic Tczew Bridge. 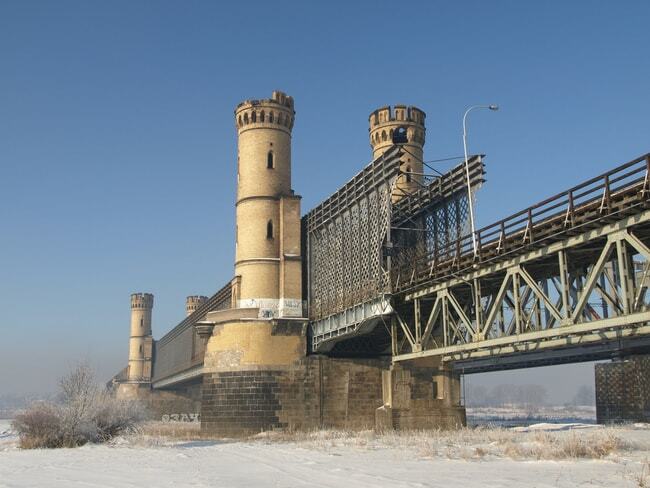 The bridge was bombed a few times but now acts as an important logistical gateway to the rest of Poland. As well as the bridge, there is a museum dedicated to the Wisła River, a Dutch windmill and two prominent churches to tour. The holy town of Pelplin is yet another unknown gem for the intrepid tourist. This is a town famous for its huge monastery, a copy of Gutenberg’s Bible and a Catholic pilgrimage. After arriving by train or bus, head on a tour of the stunning monastery, featuring Pelplin Abbey and main Cathedral. Afterwards, visit the Diocesan Museum, which contains one of only 19 copies of Gutenberg’s original Bible. Finish off your tour of little Pelplin by walking to the cross on a hill on the edge of the town. It was here that Poland’s famous Pope, John Paul II gave a speech back in 1999.